At times it is almost incomprehensible that Alicia Keys is as young as she is. Overhyped by some as the "savior of Soul music" and unfortunately (and pejoratively) lumped by others with Christina Aguilera and other lesser young female singers, Alicia Keys is a very talented young songwriter, pianist, singer and producer who has effectively bridged old school and new school over her short career, and who has the potential to be an important artist for years to come. Born into a bi-racial family and raised in New York's "Hell's Kitchen" region by her mother, Keys was exposed to classic jazz music at home during her childhood, and was encouraged toward her musical aspirations. She attended New York's Performance Arts School, graduating early and receiving a scholarship to Columbia (which she ultimately left as her career took off). During her teen years, Keys performed in a number of groups, ultimately electing to attempt a solo career at the suggestion of her manager Jeff Robinson. With Robinson's help, she was signed by Columbia Records at age 16, but had the courage to walk away from the contract and a lot of money when Columbia's vision of her as a "handled" artist diverged too much from her own dream of musical success on her own terms. She was later introduced to legendary record executive Clive Davis, then smarting from his ousting at Arista and in the process of forming his new J Records. Known as a true artist's executive, Davis signed Keys and supported her vision of creating an album combining elements of classical music, 70s Soul and hip-hop. And when her first album, Songs in A Minor, was ready for release, Davis scored Keys the ultimate exposure - an appearance on Oprah. She was a smash, and the appearance helped catapult her debut album to the top of the Pop and Soul charts in its first week, and the first single, the bluesy ballad "Fallin'," into the Pop and Soul top 10. The album ultimately went platinum several times over, spun off a second hit, "A Woman's Worth," and won for Keys a Grammy for Best New Artist. While not terribly impressive or articulate as a speaker (as noted at her Grammy acceptance speeches), Keys was clearly a very intelligent, deep writer, and one who used an unusually strong sense of history in creating her music - a melding of that history with current grooves in a way that clicked strongly with her audience. This was never more evident than in her post-9/11 performance of Donny Hathaway's "Someday We'll All Be Free" as part of the Tribute to Heroes television concert. Keys followed her debut with 2003's Diary of Alicia Keys, perhaps an even better album than the first, and one in which she continued to develop her songwriting skills. 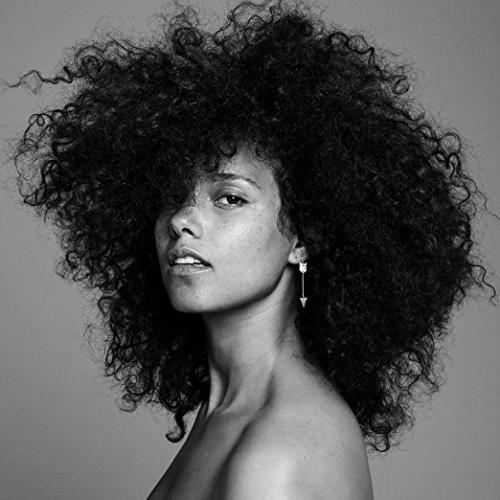 On this very personal album, Keys made a strong statement that she was not chasing crossover success, but was staying true to her musical vision. The disc had more of a 70s feel than did the previous album, especially the first single, the wonderful "You Don't Know My Name," with background vocals performed by Ray, Goodman & Brown. In the Fall of 2005, Keys released MTV Unplugged, a live recording of her MTV show performance. It was another fine recording and included the terrific single "Unbreakable." Keys returned in late 2007 with As I Am, a disc which debuted at #1 on both the Pop and Soul charts, selling an amazing 750,000 units in the first week (the second biggest debut of the year). It showed that the four years between studio albums had not dulled Keys' appeal. The disc received generally positive reviews -- though not as glowing as her earlier work -- and further ensconsed Keys as one of the leading R&B performers. As I Am received a slew of Grammy nominations, and won the award for Best Female R&B Performance in February, 2008. Two and a half years later, Keys released The Element of Freedom, a bit of a step back creatively, seemingly designed to consolidate her pop audience rather than to expand her art. Element showed Keys struggling vocally, occasionally singing out of her natural range, though again it demonstrated her to be a solid songwriter. In 2012, working with husband Swizz Beatz, Keys began wroking on a new disc. The first single, "New Day," was leaked in June, 2012. While Keys albums are not without flaw - each of her discs, while generally strong, is uneven - they have overall been both interesting and engaging. Her first two discs were quite amazing feats for an artist so young, but her lack of tangible creative advancement on As I Am and The Element of Freedom has made many wonder whether she will attain the status expected of her early in her career: as one of the most important Soul music artists of her generation.